At the end of the work day, do you sometimes feel like you have a lot in common with those marathon runners who nearly collapse as they cross the finish line? Except that you didn’t run 26 miles (even though it feels like it), and you’re wearing steel toe shoes ... (see full details) (see specifications) #RB3501. At the end of the work day, do you sometimes feel like you have a lot in common with those marathon runners who nearly collapse as they cross the finish line? Except that you didn’t run 26 miles (even though it feels like it), and you’re wearing steel toe shoes. (You have to follow safety guidelines for work, after all...) Reebok, a long time favorite in the sports and running industry, has taken their expertise to the factory floor with these Reebok Men’s Steel Toe ESD Black RB3501 Guide Performance Cross Trainer Athletic Work Shoes. So, here’s one thing you CAN have in common: athletic shoes with lightweight safety toes, made for running technology to give you the most stamina possible to complete your marathon shift. These are made for those who spend long hours walking, pushing, pulling, standing, and, hey, maybe even running around on the hard concrete or tile flooring of a business space all day long who are also required by law to meet certain safety standards. With dual resistors for static dissipative safety and ASTM F2413 approved steel toe caps, you'll be safe and compliant with job site requirements. If that sounds a little like your job, then keeping on reading. Industrial work can be tough on your men's shoes, so make sure you have something tough enough for the challenge, yet comfortable enough to help you out. Reebok’s industrial line has a wide variety of these options for you that are ready and willing to go to work. These low-cut athletic Reebok shoes are made from black leather uppers, ensuring they're strong enough to survive the hazards of industrial work. Offering the most freedom of motion for your ankles and the fastest heel-to-toe transitions, you can move without being weighed down by heavier work boots. The wraparound external TPU heel counters add an improved fit overall and torsional rigidity to the heel strikes for stabilization. The padded collars prevent rubbing and the standard lace up design allows for the perfect fit. Perhaps you favorite part of these Cross Trainer performance shoes will be what's on the inside supporting and propelling your feet. MemoryTech removable footbeds use memory foam for customized comfort that refreshes itself with each step. This long-lasting cushioning molds to each individual foot for targeted support right where your feet need it most. The R52 rebounding foam midsoles bring the performance you need to these tough ESD shoes. These athletic midsoles are lightweight and designed to harness the power of impact between your feet and the floor to spring your feet forward with the rebound action for less foot stress experienced by you and more energy working on your side. Surrounding your feet are moisture-wicking nylon mesh linings designed to draw your sweat away from your feet for cooler, drier, and more comfortable temperatures inside your men's black shoes all day long. The slip-resistant rubber outsoles are lightweight and flexible, providing 12.9-degrees of flex at the 70% point from heel-to-toe, which basically means this men's footwear is flexible, so if you tend to bend, crouch, kneel, or move in a similar way on the job, these are designed to help you out. Offering the best in slip and abrasion resistance, these industrial strength outsoles are also better at resisting chemicals and oil. With dual resistors for static dissipative safety and ASTM F2413 approved steel toe caps, you'll be safe and compliant with job site requirements. These ESD work shoes also do not have any exposed metal parts. So bring the comfort and performance of athletic shoes with you to work. You may not be running a 26 miles, but your feet can benefit from the same support used in a marathon to keep you energized and comfortable all day, which is why you'll love these Reebok Men’s Steel Toe ESD Black RB3501 Guide Performance Cross Trainer Athletic Work Shoes from Working Person's Store. 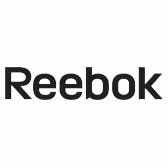 Reebok Shoes: Men's Steel Toe ESD Black RB3501 Guide Performance Cross Trainers is being added to your cart.